Whether you’re an accidental landlord or you let out multiple properties, it is essential that if you’re letting out a property that it is ‘rent ready’. Before letting out a property you must check certain things are in place so that your property is presented as best as it can be, making finding a tenant easier and helping maximise its potential too. From the legal side to the practical side, take a look at our top tips below. When letting a home, it’s essential to know what it is tenants are actually looking for. The important things to consider are location, will you accept pets or not, value for money, are you going to include white goods etc. We are often asked by the tenant if they can re-decorate, especially if a tenant is going to be in your property for a long time and of course it’s at your discretion but it’s worth considering before you rent out your property as this is something that can potentially be mutually beneficial to both parties if undertaken properly and will make the tenant feel at home, which could mean they stay longer in your property. Reeds Rains parent company LSL recently carried out a survey of tenants, the survey results are a must read for all landlords, you can find the results here. If you live in an area where there is lots of competition, it may be worth spending a bit of money to make sure that your property is presented the best it can be and offers a blank canvas to potential tenants rather than bold colours that a tenant may think will clash with their furnishings. You could consider decorating in a neutral colour from the start, which is easy to maintain at each check out/check-in and consider darker hard wearing carpets or carpet tiles that are easy to replace when needs be. It’s not just the inside that is important but the exterior of your property can also be a deciding factor when tenants are choosing properties to view, ensure that the exterior of your property is well maintained and tidy. It’s a no brainer, but you should ensure that your property is clean and tidy before a tenant moves in. This should include a full clean of the property as well as appliances such as the cooker. An inventory will be undertaken before the tenant moves in, and this is important as if there is a dispute over damage at the end of the tenancy; you have proof of the original condition of the property and don’t forget you have access to this and other documents in your online landlord portal provided by Reeds Rains. There are lots of rules and regulations when it comes to letting out a property so it’s important that you make sure your property meets all the legal requirements. An agent will help you do this but if you’re doing this yourself there’s an estimated 400+ rules and regulations that you and your property may need to comply with. It’s also worth checking that your mortgage allows you to let out your property. When renting out a property, it’s essential you choose an agent who has plenty of experience, knowledge and can gain the exposure your property needs. 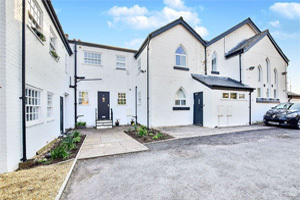 At Reeds Rains we work with landlords who have just one property and landlords with over 50; we let single rooms to professionals, five bedroomed detached houses to large families and everything in between. Our expert lettings consultants build strong relationships with each client, to fully understand their property management requirements so that we can provide an individually tailored letting service. 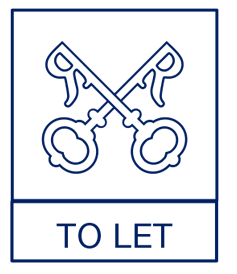 As well as this we also offer a selection of insurance products as well as a landlord portal, giving you access to all your letting information 24/7. When letting out your property you should consider what you would do if you tenant didn’t pay the rent or if there was any damage to the property. Should I invest in a Buy to Let house or flat? Landlords, do you know what the deposit covers?